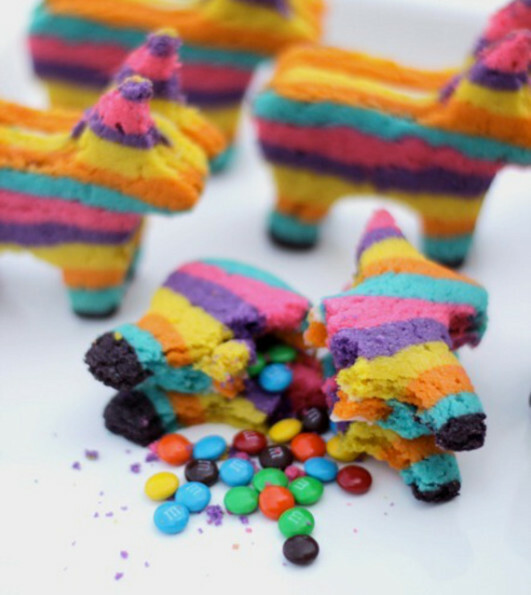 Piñata-cookies look just like the little rainbow donkey we all know and love to beat with a stick. The best part about it is that when you crack em open actual candy comes out! Ay yi yi — I’m gonna need to chug some margaritas to handle all this excitement! The only thing that could make these any better is if there were little airplane bottles of booze inside. 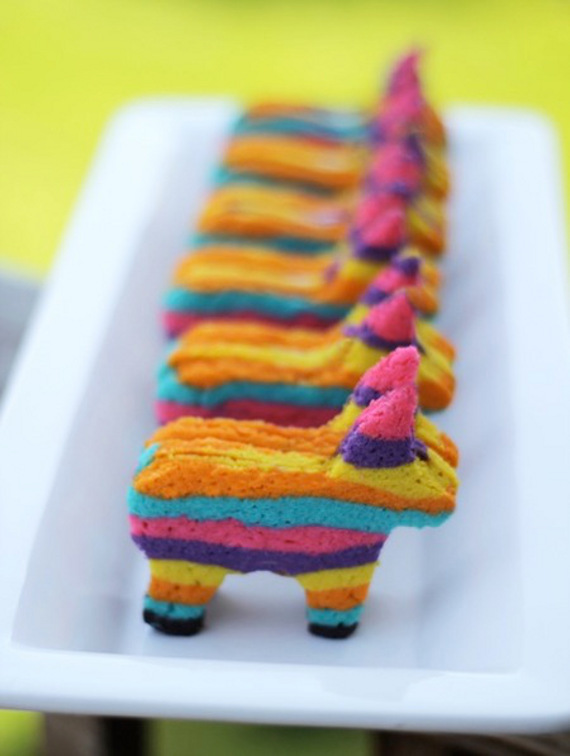 You know, like a REAL piñata. Check out the recipe by Sandra Denneler at SheKnows.com. Wow! How cool and creative!